Even if you're not rich, criminals still want to steal from you. And they come out in force around tax time, trying to trick you into sending them your address, Social Security number, credit card number, bank account number or any other valuable piece of information that can help them rob your identity or your money. Tax scammers are sending out so-called "phishing" emails that appear to be from the IRS and claim that the recipient either owes money or is due a refund. "The IRS won't send you an email about a bill or refund out of the blue. Don't click on one claiming to be from the IRS that takes you by surprise," said IRS Commissioner John Koskinen in a statement Friday. 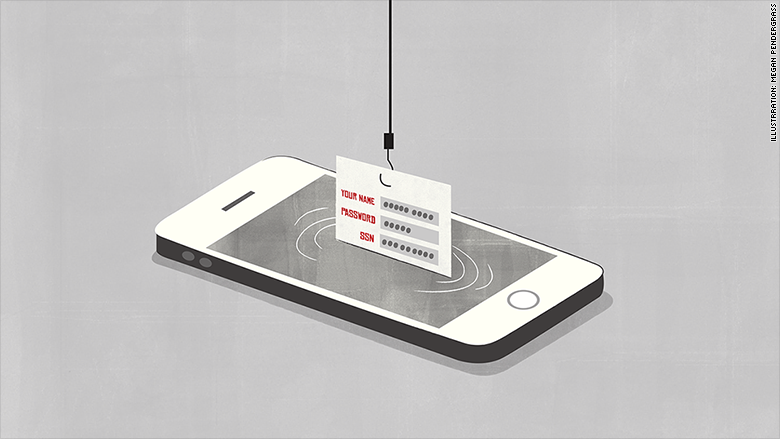 Phishing ranks high on the agency's Dirty Dozen list of tax scams. If you get an unsolicited email that seems to be from the IRS or a related agency, such as the Electronic Federal Tax Payment System (EFTPS), don't reply, don't open any attachments and don't click on any links. Doing so can enable scammers to collect your personal information or infect your computer with malicious code. Instead, report the phishing email by sending it to phishing@irs.gov. The IRS does not contact taxpayers electronically - whether by text, email or social media - to request personal or financial information, the agency said.